The group also promised to keep applying pressure on officials until they get the answers they seek surrounding the shooting of Bijan Ghaisar on Nov. 17, 2017. WASHINGTON — Family, friends, school mates, community members and more gathered Saturday night to remember the life of a 25-year-old McLean man who was fatally wounded by U.S. Park Police one year ago. Ghaisar was shot nine times after three traffic stops and a chase up the George Washington Parkway. Ghaisar died of those wounds 10 days later. His family has long said Ghaisar was unarmed. Reports filed by Fairfax County police have confirmed that. His family wants to know why guns were drawn on him. They also want to know the names of the officers who shot him. “It’s evident that people are upset. they’re angry. They’re saddened. It shouldn’t take a year for families to get basic answers to how their son was shot,” said Roxanna Jahangeri, a longtime friend of the Ghaisars. During the vigil, family members of Ghaisar spoke, including his sister, Nageen Ghaisar-Emami. “We have waited long enough for justice and reform,” Ghaisar-Emami said to the growing group of supporters. “Waiting in our agony, and our actions have been met with absolute, stone-cold silence,” she added. Days after last year’s shooting, the FBI took over the probe. 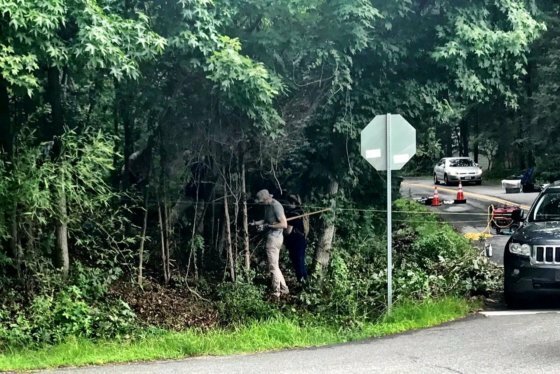 Fairfax County police officers who were assisting U.S. Park Police during the chase that night also witnessed the shooting. In January, County Police Chief Ed Roessler released dashcam video of the incident. The family thanked the department for working toward transparency. According to Rep. Don Beyer, the U.S. congressman whose district includes McLean, the FBI has completed the investigation and has turned it over to the Justice Department. 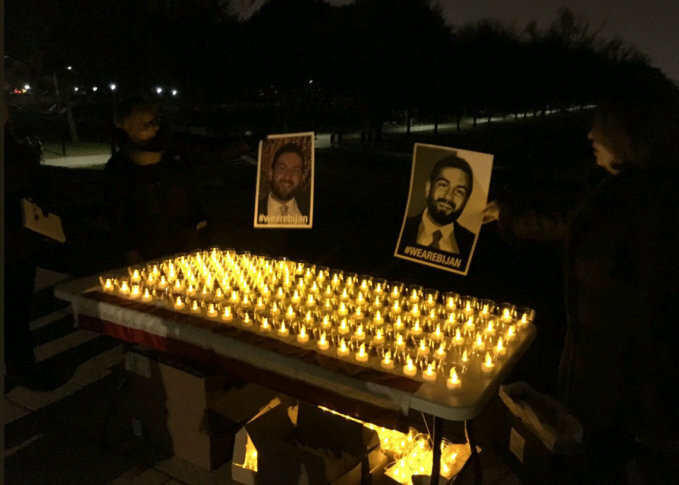 Beyer spoke at a vigil earlier this month. Ghaisar’s family and supporters promised to keep pressing for answers from other investigative bodies involved, because they say neither the U.S. Park Police nor the FBI have been forthcoming about the case.